Yesterday, the science team chose a new drill target, "Ailsa Craig," and we spent the day triaging the target with our contact science instruments, DRT, MAHLI, and APXS. 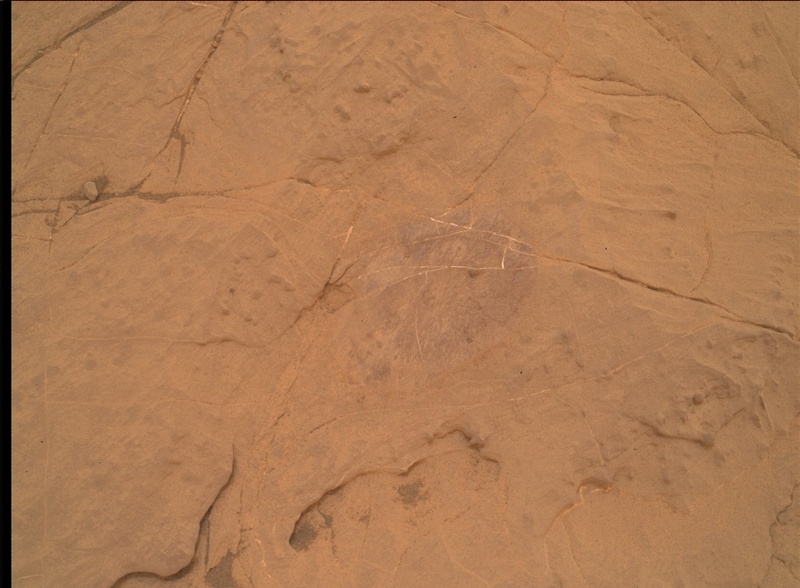 The image above is one of the MAHLI images that we collected after the DRT removed some of the surface dust over the drill target. Today, we're planning two sols. Sol 2122 is devoted to drilling the target Ailsa Craig! We'll collect some complementary observations to document our drilling activities with the Mastcam, MAHLI, and ChemCam RMI cameras. We'll spend most of Sol 2123 recharging, but we also managed to squeeze in a few additional science observations, including two ChemCam LIBS analyses on nearby bedrock targets "Tolsta Head" and "Appin." We'll also use Mastcam to document two nearby crater features named "Taconite" and "Peterhead." Finally, we'll conduct some standard atmospheric tau and crater rim observations.